Today we are happy to be able to invite you to come back to ancient Greece. This game is the sequel to one of the finest games ever developed from the great game developer, Habanero Gaming. Indulge yourself in a journey back in time and go hunting for huge wins. 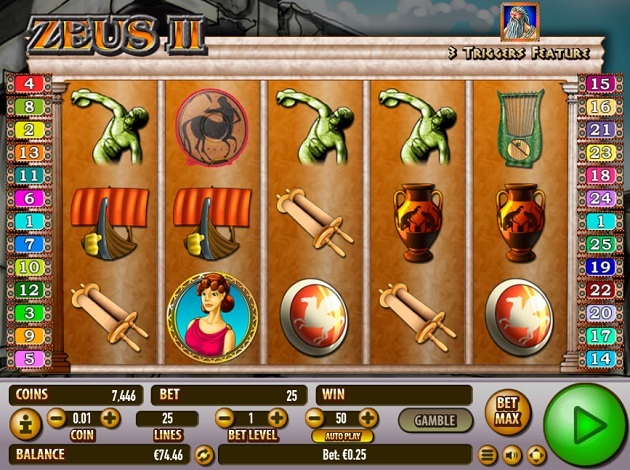 All of us at Videoslots.com are proud to present you with “Zeus II” – a game that is, of course, the follow up to the popular original “Zeus”. Later in this review, we will also take a closer look at the history of the game developer, as well as their games. But now we will get started with our thorough in-depth review of “Zeus II” from Habanero Gaming! The Wildsymbol in this game is a Greek soldier wearing a helmet. Like in most other games, the Wildsymbol of this game can substitute all other symbols, the Scattersymbol aside. This is done to help the player create new and improved winning combinations of symbols. The Scattersymbol is Zeus himself – and if you get three or more of these symbols you will get up to a staggering 100 Free Spins! This is nothing short of amazing! Zeus II is played on 5 reels over 3 rows. You have the option to play with as many as 25 active pay-lines at any point while the reels are spinning – but the choice is of course yours. You can play with only 1 pay-line, but we always recommend our players to activate all pay-lines, since this will ensure that you are always playing with the highest possible winning potential. Like in many other games from Habanero, Zeus II manages to appeal to any possible kind of player. This due to the large spread in the size of bets. You can bet as low as €0,01 per spin – meaning that 1000 spins will only cost you €10! Should you be in the mood for betting higher amounts, then despair not. In Zeus II you have the chance to bet as much as €125 per spin. No matter what type of player you are, this game can cater to your needs! Zeus II is a proper update to the already beautiful original. 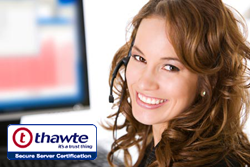 All of the graphics, layouts, and sounds are carefully crafted to fit each other perfectly. We enjoyed every single moment while we were working on this review – cause both our eyes and ears were in for quite a treat! Join us as we travel back to ancient Greece where we will join the god of gods, Zeus in our epic quest for riches. This game from Habanero is full of beauty, excitement, winning opportunities and finally also the chance to win the games incredibly big progressive Jackpot. As promised earlier in the review, it is now time for us to have a closer look at who Habanero Gaming is – and what makes their games something special in the iGaming business. We, on Videoslots.com, wish you good luck!